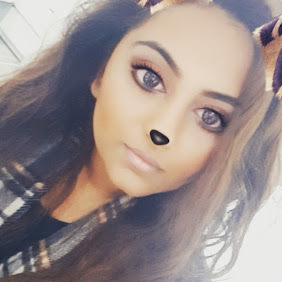 So one day I was scrolling through my twitter timeline (as you do) and saw an image Kiran Beri (she’s got such a great blog by the way so check her out at kiranberi.co.uk) posted of these amazing make up brushes from ebay. This image alone convinced me I needed more brushes. That’s all it took. 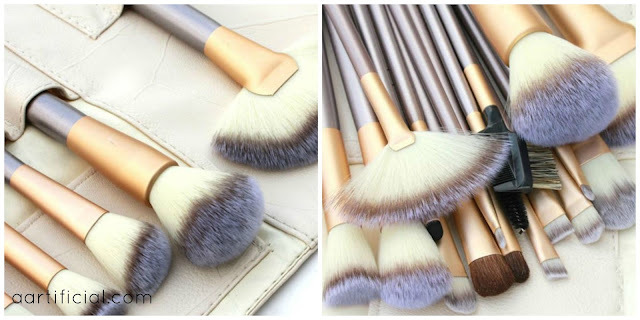 One picture of the brushes and I was sold. So I spent my valuable time at work looking at all of the brush sets ebay had to offer. There are LOADS! I knew I wanted a set with a lot of eye brushes because I’m a newbie to eyeshadow but I also wanted to get a few new face brushes because I guess you can never have enough. This set is the full package. So a few days letter my brushes arrived. First impressions were they were so ascetically pleasing! The grey and rose gold handles were a nice change to all my black ebay brushes and the pouch it came in was really good quality considering the price. I would say like a lot of the other brushes I have got from ebay these did have that initial plastic smell to them so I would recommend giving them a quick wash before actually using the on your skin. Overall, this is such a great set and really is fantastic value for money. So if you’re on the hunt for some new brushes or are anything like me and you don’t even need an excuse I would most definitely recommend giving these a go. For just over £10 for 18 brushes and a lovely travel friendly pouch case you cannot go wrong! 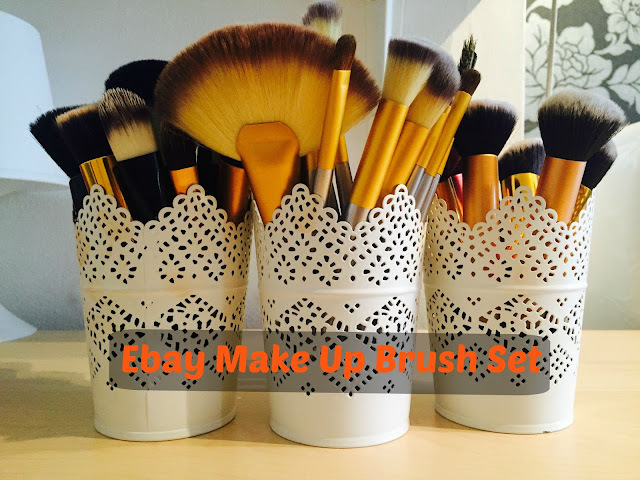 Let me know some of your favourite brushes from Ebay below!